This blog has been quite dead for a while now. Never fear I am still around! Life has been busy, work has been busy, and I really took a step back from being on the computer 24×7. I took a new job back in 2015 which lead me to believe I would have tons of free time – not the case; but not exactly a bad thing. Being out of consulting did free up a lot of my schedule and gave me a chance to focus more on my social life and my personal health. In-fact after settling into my new job (About 6 months!) I decided to put a huge focus on my weight. I had gotten all the way up to 245-250 lbs., I had low energy, it was extremely hard for me to do anything due to weight in combination with my Muscular Dystrophy and enough was enough. 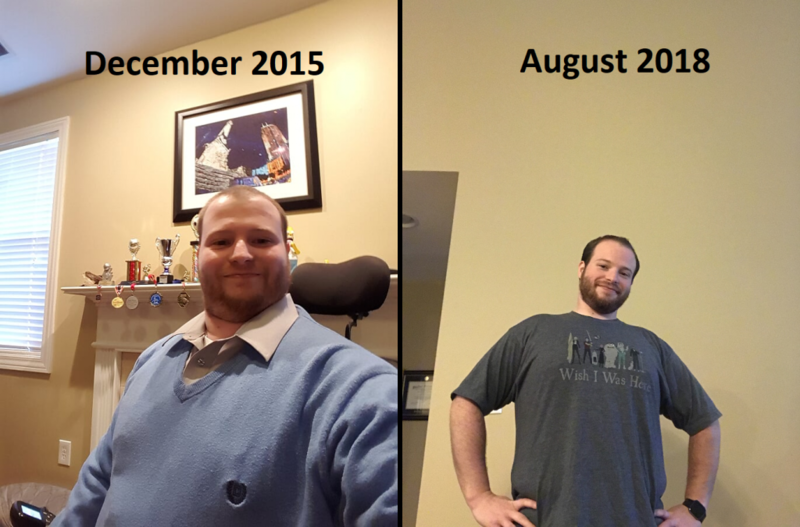 I started exercising using a manual chair around the house in late January of 2016 – I took a serious focus into my diet in early March of 2016. I am happy to say I am down to 185 lbs. I have had a hard time since December of last year losing weight and I am going to be putting a big focus into dropping another 20 lbs. Now that my health is in better shape, I am spending tons of time with friends and exercising semi-regularly. With the weight loss I am not having nearly as much of an issue with my muscle weakness from my Muscular Dystrophy and I am even walking around the house/neighborhood and shopping some! Last time I tried kick-starting this blog was with the HoloLens – it was a fun experience but quickly died off due to the learning curve to get into programming and me trying to balance my health/social & work life. Keep in mind this blog is completely outside of my work life and tends to consume into other parts of life that I just couldn’t dedicate to. I am not going to commit to regular updates on this blog; however, I do have some stuff I’ve been working on recently that I am going to be posting in the coming weeks. So please keep tuned to this blog!